What is MRSA and How Dangerous Is It? Painful boils are common skin infections caused by MRSA. MRSA is bacteria that is resistant to many treatments and can cause very serious and life-threatening infections. MRSA bacteria can be spread from person to person, and up to 5% of the population are carriers with these bacteria, but don’t show signs of infection. One of the most serious problems with MRSA is that most common treatments will not stop the infection. Specifically, MRSA has become resistant or immune to most broad-spectrum antibiotic drugs. MRSA disease is known by many different names. Pronounced “Mer-suh” this illness is also referred to as Mercer, Mersa, and Merca. MRSA is an acronym for Methicillin Resistant Staphylococcus Aureus. MRSA is caused by a type of Staphylococcus bacteria, which is often shortened to “Staph”. There are actually many different kinds of MRSA and Staph aureus bacteria, called strains. 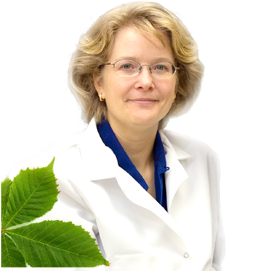 Each strain has different ways of infecting people and unique ways of protecting itself from antibiotic treatments. An antibiotic that works for one strain may be useless against another. Some strains of MRSA can cause deadly and aggressively spreading infections (such as flesh-eating infections). However, most MRSA infections are milder and easier to treat, though roughly 50% of people report recurring MRSA infections that won’t go away. MSSA. Methicillin-Sensitive Staph Aureus is a common type of Staph that is vulnerable to the methicillin class of antibiotics and therefore easier to treat. This “common Staph” infection is often seen on bacterial culture test results. VRSA. Short for Vancomycin-Resistant Staph Aureus, this rare type of Staph has become immune to a common “last resort” antibiotic called vancomycin. VISA. Vancomycin-Intermediate Staph Aureus is similar to VRSA, but the bacteria are only partially resistant to the vancomycin. ORSA. 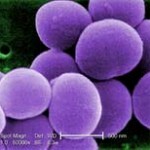 Another name for MRSA, Oxacillin-Resistant Staph aureus, as the name suggests, is resistant to Oxacillin, an antibiotic of the same class as methicillin. CA-MRSA. These are strains of MRSA found in community and public places. These strains tend to cause skin infections and are often easier to treat with antibiotics. However, CA-MRSA often strikes young and otherwise healthy people and can be deadly in some cases. HA-MRSA. These are strains of MRSA found in hospitals and other healthcare settings. As you’ll see further below, MRSA first got started in hospitals. Healthcare-associated MRSA often causes internal infections and can be more challenging to treat. LA-MRSA. There are strains of MRSA associated with livestock and feed animals. These strains have also be found on livestock caretakers. Livestock-associated MRSA is a new area of study. MRSA has also been found in our food supply: conventionally raised pork, beef and chicken. MRSA can also change over time and mutate from one strain to another. Like a monster with many heads, MRSA can be a moving target that’s hard to hit with the right treatment. One of the biggest challenges with MRSA is finding an antibiotic that will stop the infection. Quite often several antibiotics will be prescribed in succession before finally finding one that works, and sometimes people find that no antibiotic will cure their infection. Click here to find out about current treatments. Is MRSA the same as a Staph infection? MRSA is a type of Staph bacteria (a.k.a. Staphylococcus aureus) that is more resistant to antibiotics, specifically the penicillin type antibiotics as well as other currently used antibiotics. There is no MRSA virus, a common misnomer, because it is strictly a bacterial infection. While MRSA and Staph have many similarities, there are also some key differences. See more about Staph versus MRSA by clicking here. 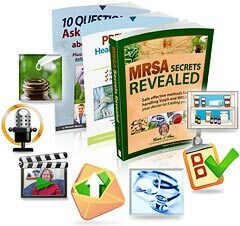 How did MRSA get started? Antibiotics have been used only since the 1940’s to stop the growth of bacteria. Unfortunately, the more antibiotics are used, and abused, the quicker bacteria learn to overcome the antibiotic and become resistant to it. Each year more types of bacteria adapt and become resistant to antibiotics. With MRSA being so resistant to many of the best antibiotics, it makes treatment of skin infections and invasive internal infections much more problematic, resulting in many yearly deaths. In fact, statistics show that more people die each year from this infection than the AIDS virus. This nasty bacteria is also responsible for the “flesh-eating” disease you’ve likely heard of. Vancomycin – some strains of the bacteria (called VISA and VRSA) are now becoming resistant to Vancomycin, one of the best last resort antibiotics. Vancomycin has traditionally been used for serious and life-threatening infections that are not responsive to more common antibiotics. To conclusively know if you have a MRSA infection, you’ll need to have a doctor perform a culture test to identify your infection-causing bacteria. If you have a Staph infection, it doesn’t mean you have MRSA. Both infections can be dangerous and are often treated in similar ways. If you currently have an infection, it’s important to know how to work with it properly to prevent re-infection and prevent it spreading to others. MRSA is now responsible for more deaths than HIV and the Flu combined. Staph infections and MRSA have been a growing menace for many years now and things are only getting worse. It can cause hospital acquired (HA-MRSA) and community acquired (CA-MRSA) infections. According to the Centers for Disease Control (CDC), in the year 2005, MRSA was responsible for an estimated 94,000 life-threatening infections and close to 19,000 deaths (more than AIDS). In the US in 2003, there were an estimated 12 million doctor or emergency room visits for skin and soft tissue infections suspected to be caused by staph aureus. Hospitals in England have seen a 548% increase in MRSA related deaths from 2003 to 2004! Surgery is a leading cause of hospital infections like MRSA. Often called Hospital Acquired MRSA, HA-MRSA is usually picked up from a hospital stay. Until recently, most cases were contracted in hospital or healthcare environments, like nursing homes and dialysis centers. Hospital patients with open wounds, invasive devices like catheters or IV’s, and weakened immune systems are at greater risk than the general public. HA-MRSA is still a big problem for those undergoing hospitalization. Approximately 20% of bloodstream infections in hospitals are now caused by the Staph aureus bacteria. In 2003, 64.4% of hospital onset bacterial infections in intensive care units were MRSA infections. Types of post-operative hospital infections have changed over the years from typically wound infections in the 1960’s to urinary tract infections in the 1970’s and 1980’s. Currently 43% of post-operative hospital infections are now pneumonia! This drastically increases a patients chance for death. Unfortunately, hospital staff who fail to follow proper sanitary procedures inadvertently transfer bacteria from patient to patient. Some hospitals screen for MRSA and isolate such patients, but most US hospitals do not yet do this. If you are visiting a hospital soon, or are going to be an inpatient in a hospital, be sure to learn how to protect yourself and your family. 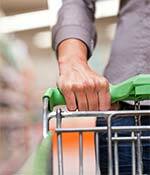 CA-MRSA can be found on high-touch objects in public places. Until recently, hospitals were the most likely area you would get MRSA. The biggest health risk right now is CA-MRSA. These types of infections can occur in otherwise healthy people who have not been hospitalized within the last year. CA-MRSA also applies to people who acquire the disease who have not had any medical procedure done within the last year in a health-care facility such as dialysis, surgery, or catheters. According to the Journal of the American Medical Association (AMA), community MRSA has become the most frequent cause of skin and soft tissue infections presenting to emergency departments in the United States. These community-associated infections are usually skin infections, such as abscesses, boils, and other pus-filled lesions. Common myths about this disease.